What it does: Moisturizes sensitive skin. 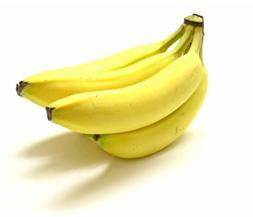 Why it helps: The antioxidant vitamin A and skin-softening potassium in bananas moisturizes dry skin gently. Pineapple juice contains bromelain - a natural beta hydroxy acid (BHA). BHAs stimulates cell turnover, which helps to fade surface discolorations. It's especially good for oily skin. Honey has natural antioxidant properties. Its high sugar content and acidity also deprives bacteria of the nitrogen needed for growth. The hydrogen peroxide in honey also hampers bacterial growth. Like pineapple, the enzymes in papaya -- called papain -- is a natural beta hydroxy acid (BHA). BHA is a great exfoliant, which means we can use papaya to remove dead skin. My favorite natural moisturizer is the Russell Organics Argan Oil. 100% pure Argan Oil.